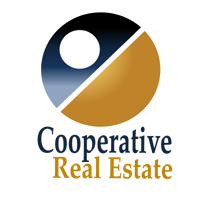 Let me welcome you to establish a relationship with my company that can help you with all your South Florida Investment Property and HOA Management, Real Estate purchases, sales and rental as well as special investor/landlord & tenant services needs. With a decades long history in the Florida Real Estate Management, Sales and Rental markets, we have the experience necessary to make your property ownership dreams become a reality. Our companies are licensed, bonded and insured. PATTERSON REALTY & INVESTMENT CORP, a Licensed Real Estate Brokerage Business. For Home or Investment Buyers, our company can locate just the right property for your needs. Sellers will be exposed to all available marketing tactics both on and off-line to effect a timely sale. We always have a list of Buyers looking for properties. As a Buyer, we will work with you until you find exactly what you are looking for. If you come to us as a Seller, we will determine an effective disposition strategy for any property you wish to sell, suitable to your individual situation. We offer comprehensive rental location services to prospective tenants and arrange a good match between our current landlords under management and new tenants. Patterson Realty & Investment Corp.is a Florida licensed real estate brokerage business under the supervision of qualifying broker Doriann Rubin, Lic. R.E. Broker.